I get asked a lot, “What does a preacher do all week?” Most Christians only see the preacher a couple of times a week, and they’re understandably curious, “What does he do when the pews are empty?” Well, my schedule may be different from other preachers, but this will give you a pretty good idea of what a “typical” week is like. 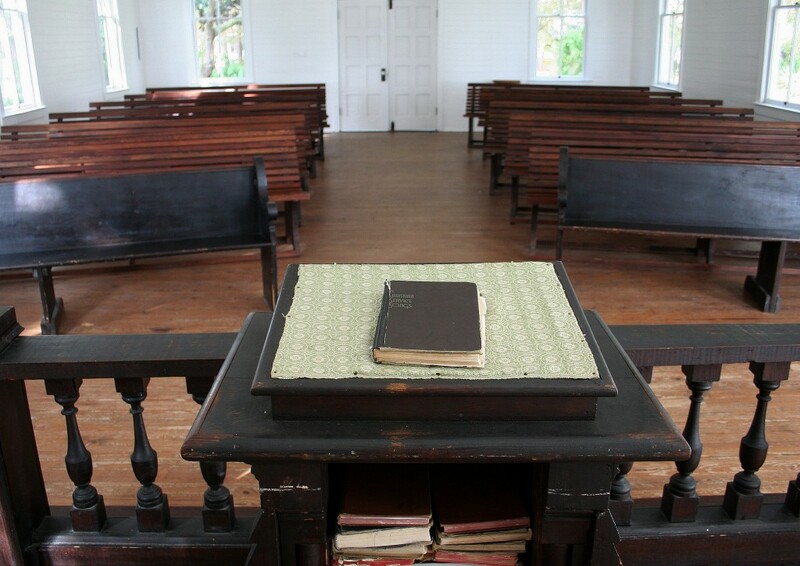 Sunday may seem pretty obvious to the average church member, “The preacher works for about 30 minutes that morning and 30 minutes that evening. What’s the big deal?” Well, if you have never stood in the pulpit and proclaimed the word of God, I can honestly understand how it may look like one of the easiest jobs in the world. However, most Christians will never understand the mental and physical exhaustion of preaching your heart out for half-an-hour. And that’s okay. You don’t have to understand it. Most preachers don’t expect you to understand how tiring it is to preach. We probably don’t understand how exhausting it is to do your job. But, just because you don’t understand it, doesn’t mean you can’t respect the hard work that goes into it. For me, most Sundays consist of teaching a Bible Class and delivering two sermons. Often, I spend lunch with members; which isn’t necessarily work, but it can be tiring after a long morning. During the afternoon, there may be meetings to attend, Bible studies to conduct, hospital visits to make, and there is always another sermon to look over. After delivering Sunday evening’s sermon, I usually feel like I’ve run a marathon. It is an exhilarating and exhausting feeling. I wouldn’t trade that feeling for the world. My mind is usually racing, as I crash at the end of the day. I question, “Did I say what I should have said? Did I say it the way I should have said it? Did I please God or disappoint Him today?” I’m tired and wound up, at the same time. And then, Monday morning arrives. Most weekday mornings start out pretty similar. Of late, I’ve been getting up at 5:30 every morning. I eat breakfast, get ready, and head to the gym about 6:30. I workout until 7:45 and get to the office between 8:15 and 8:30. On Mondays, I try to get the previous day’s sermons online as quickly as possible. Then, I have a couple of e-mails I send each Monday reminding the staff about our weekly meeting and to the newspaper, with a synopsis of the upcoming Sunday morning sermon. I spend some time answering any e-mails or messages I may have. The majority of Monday is spent preparing the next Sunday morning’s sermon. Many people ask, “How long does it take you to write a sermon?” I have no answer to that question. 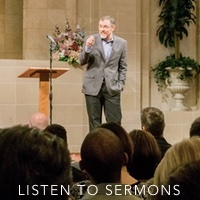 Each sermon is different. I have my sermon titles and Scripture texts planned for the next several months, so I know on Monday morning what direction I will be heading. Sometimes I can sit down and write out my entire sermon in two or three hours. Sometimes, it takes the majority of the day. Assuming I have few interruptions on Monday, I usually finish writing one sermon for the upcoming Sunday. I get home from work around 5:15 and Monday nights are reserved for my family. I have two small boys and a wonderful wife and Mondays are an evening spent with them. We usually get the boys to bed around 8:30 or 9:00 (asleep is a whole other issue). Usually, by 11:00 every night, the McAdams’ house is pretty quiet and we are all asleep (or close to it). On Tuesday, when I get to the office from the gym, I answer any e-mails which may be waiting for me. Then, I get to work on the Sunday evening sermon and the article for the bulletin. For some reason, Sunday evening sermons seem to get written a little faster than the morning’s sermon (may be I’m loosened up a little). I try to go home for lunch on Tuesdays because I usually do not get to eat supper with my family on those evenings. Every Tuesday afternoon, the office and ministerial staff gathers for a meeting to discuss any matters that may affect various efforts of the congregation. This meeting usually lasts for about 45 minutes. We have such a great staff here and I’m so thankful for their friendship and to be one of their co-workers for the Lord. Tuesday evenings are reserved for visitation with the elders. Baker Heights has some of the most phenomenal elders I have ever known and they do their best to visit members in their homes on Tuesday evenings. By the time visitation is done, I’m lucky to get back home around 8:30; just in time to see the boys for a few minutes before they head to bed. Wednesdays are spent preparing for the evening’s activities. Currently, I am teaching the Young Families class and I spend some of the day preparing my material for that class. Also, on Wednesday evenings, I have a meeting with the elders; for which I spend some time preparing a report to give them. Because I have an elders meeting at 5:00 and Bible class at 7:00, I do not get home until around 8:30 and don’t get to eat supper with my family. Because of this, I like to go home for lunch on Wednesdays and eat with my family. That way, on Tuesdays and Wednesdays, I get to eat at least one meal with my crew. On Monday and Thursday, however, I work through lunch, or often I will have a lunch meeting with someone. Thursdays are my last office day, so they are usually spent playing catch-up on various things. If I didn’t do so earlier in the week, I prepare my Sunday morning Bible class. I print out my sermon notes for Sunday morning and get those ready to go. This is also the day on which everyone in the office helps proof-read the bulletin before final publication. Our bulletin is 8 pages long and is an extremely professional publication. I also try to write a blog post on Thursday, if there is time. Often there is an evening activity on Thursday nights. Last week, we had a fantastic get-together with our young families group at our house. We had 50 people gather in our living room for a devotional. We ate together and had some great fellowship. That is the “end” of my work week. Of course, I didn’t really mention the various visits for counseling or Bible Study that will be made or the various other visits and meetings that will crop up during the week. Someone asked me what a typical week was like and I said, “There’s no such thing.” There are things, in any given week, that are typical. But, there are also things every week that are anything but typical. Friday and Saturday are my weekend. Often, there are various church-related activities during “my weekend.” But, I consider participation in these as something I do because I’m a member–not because I’m the preacher. If there is no church activity on Friday night, this is the night my wife and I have our date night. Thankfully, we now live close to grandparents and they babysit so that we can have an evening out. It doesn’t always work out that way, but at least once a month we try to make sure we can spend Friday evening together. This brings us back to Sunday, and the whole process begins again. I’m sure I left out a couple of things, but hopefully this gives you an idea of some of the things your preacher is up to during the week. Your preacher, just like you, has a demanding job. He often spends time away from his family and has little time for rest and relaxation. He is probably “on call” 24/7. Like you, his job wears him out and often he needs a pat on the back. As demanding as preaching is, there is no other job I would rather do. I get to help people every day. I get to watch as the Word of God transforms people’s lives and relationships. We don’t preach for the accolades, we certainly don’t preach for the money. We preach because that is what we have been granted the opportunity and talents to do. We preach to glorify God.